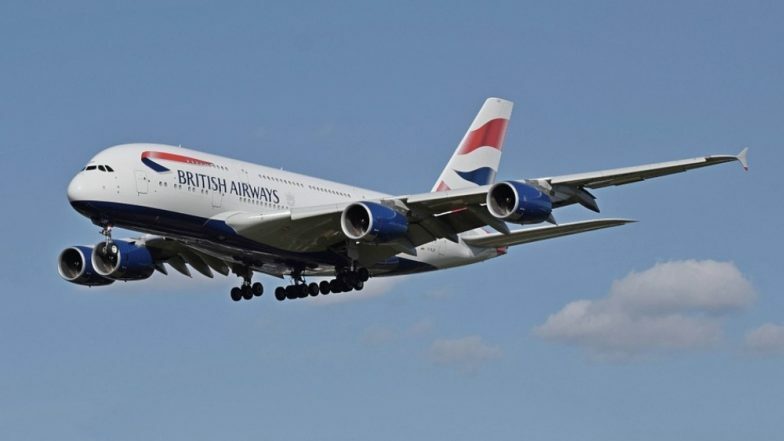 London, March 23: British Airways is launching its shortest flight till date, a 54-mile, 50-minute flight from Bahrain International Airport to Dammam, Saudi Arabia, the media reported on Saturday. The return flight will be even quicker, with only 40 minutes spent in the air, CNN quoted the airlines as saying in a statement on Friday. The brief flight succeeds the airline's current shortest trip: a 62-mile hop between the Caribbean islands of Antigua and Saint Kitts. The new service to Dammam is an extension of an existing route from London's Heathrow Airport to Muharraq, Bahrain. At present, customers disembarking in Bahrain are offered a 90-minute limousine journey to Dammam. The World’s Longest Non-Stop Flight Will Be 20-Hour Long Journey From Sydney to London and Will Also Have Gym Inside! From December 1, travellers from London will have the option to continue on the same plane -- a four-class Boeing 777-200 -- to Dammam's King Fahd International Airport. The 54-mile flight will not operate as an individual journey. Only passengers travelling to or from London will have access to the Bahrain-Dammam route. "The direct service will now enable seamless travel in eight hours from our home at Heathrow," the airline statement said. "More than half of Saudi Arabia's oil and gas is produced in this region, so this new link underlines the importance of the Eastern province of the Kingdom and the need for smooth onward connections to Europe and the US."